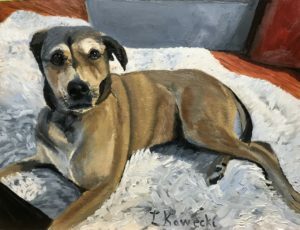 Check my Blog to see where to see my paintings in person. During my childhood, I moved 9 times and attended 9 different schools in 7 different states by the age of 15. Somewhere in the middle of all those moves and lost friends, I gave up on feelings to keep myself safe. As a teen, I did well in my high school art classes creating mostly black and white detailed work in pencil and ink, but I felt like I needed to play it safe because of my childhood and follow my other interest in computer programming. 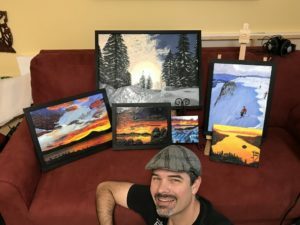 Twenty years later, after attending Burning Man for two years and getting in touch with my feelings, I decided I really needed to paint and get in touch with my creative side again because I was tired of playing it safe. I rediscovered my true passion for art and painting when I started taking painting classes in 2011. I was a little afraid to paint in color in that first class, but then I realized that my feeling were no longer black and white, I needed color to express myself today. I realized I felt like I had stepped out of the darkness into a life of full color. I started painting with acrylics, but quickly moved to oil painting and Encaustic (wax) painting. 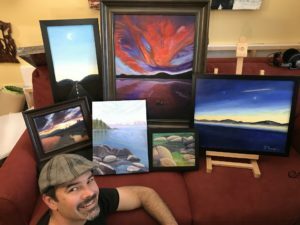 I just started selling my paintings in 2017. I have had an art show in Kings Beach, CA and sold my paintings at multiple outdoor fine art events. I hope you love my paintings as much as I enjoy creating them. I want to create art that awakens your feelings and helps heal past emotional wounds. The art and people of burning man helped awaken my feelings back in 2009, and I feel like I am healed by the natural beauty around the Lake Tahoe area. 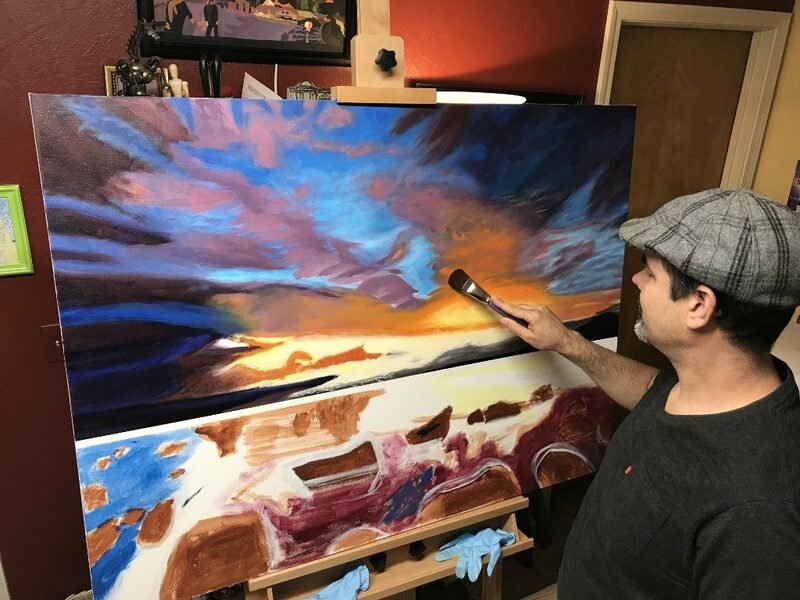 I am combining the colors that touch my soul with the beautiful landscape of the Lake Tahoe area to share my feeling of joy and healing energy with everyone who views my art. Many of my paintings are bright and elicit an emotional feeling, and my other paintings have more calming colors and smooth transitions to promote calm and healing. I hope you find the painting that creates the energy you need in your life today. Original Paintings by Lewis Kawecki, All Rights Reserved.